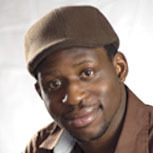 Akintunde Sogunro “ Tunde” is the director and producer of the award winning inspirational documentary film, Victory. He is excited to be pursuing a career living out his childhood dream by publishing the first book in the Mama Stitches series. He received his Bachelor’s of Arts degree in theater at Southern Connecticut State University in 2011, and is currently an MFA in creative and professional writing candidate at Western Connecticut State University. A native of Lagos, Nigeria who spent eight years living in Edmonton, Alberta Canada, Akintunde now resides in New Britain, Connecticut where he spends time spreading Mama Stitches story of hope and love up and down all around his community.